InVogueJewelry: Gem ❤ Love ❤: GARNET! Did you know that Garnets come in all sorts of natural colors? 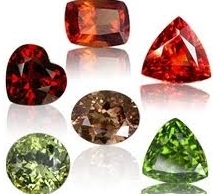 I knew they were found in beautiful red shades, and orange, and cinnamon brown, but not until recently did I know that Garnets are found in yellow, green, blue, purple, brown, black, pink and colorless. The rarest of these is the blue garnet, discovered in the late 1990s in Madagascar! BLUE! In fact, it changes color from blue in daylight to purple in incandescent light! 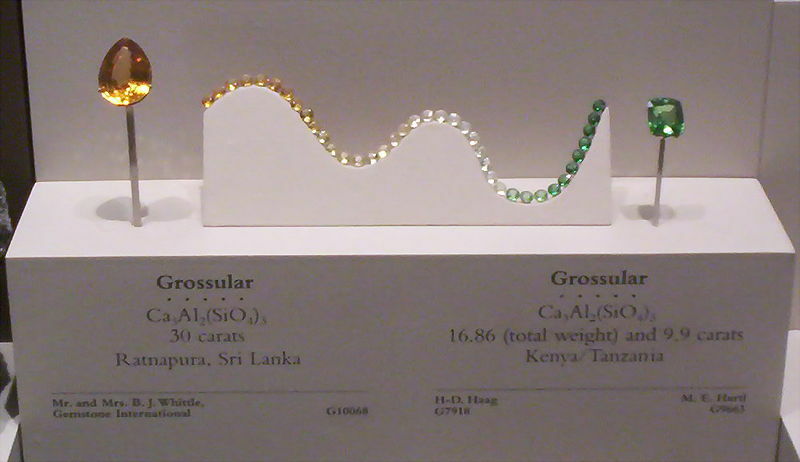 There are other varieties of color-changing garnets. In daylight, their color ranges from shades of green, beige, brown, gray, and blue, but in incandescent light, they appear a reddish or purplish/pink color and are often mistaken for Alexandrite. WOW! Natural Alexandrite is SO rare that most Alexandrite is lab created, but these color-changing garnets are natural! Here is a very interesting fact: real garnets can be picked up by a strong neodymium magnet! And the use of the magnet will separate the clear garnets from other gemstones easily. Different colors of garnet are given different names, which is mostly why I didn't realize that garnets came in so many colors! 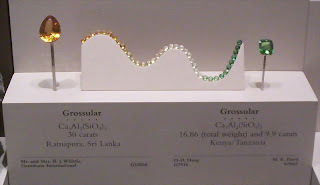 Less common types of garnet include Goldmanite, Kimzeyite, Morimotoite, Schorlomite, Toturite, and more that I've never heard of! Red Garnets were the most common gemstone used in the late Antique Roman world. 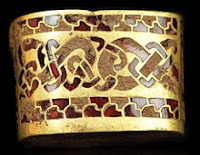 They were often inlaid into gold, called "garnet cloissonné". Garnets are used in sand paper for finishing wood. Garnet sand is used in sandblasting. Garnet sand mixed with high-pressure water will cut steel! Garnet sand is used in water filtration methods. 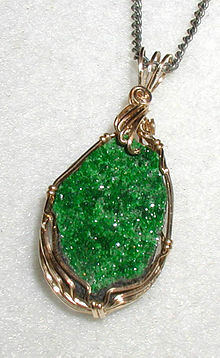 Garnet in India is used as a polishing medium for glass. River garnet is abundant in Australia! It is the birthstone for the month of January.